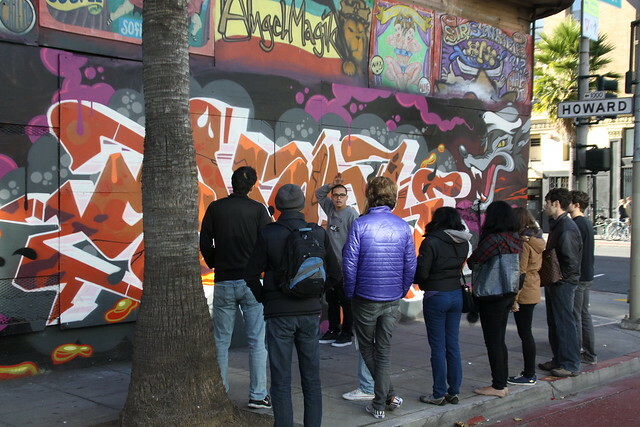 Last Saturday we had our Intro to Graffiti class taught by Robby! 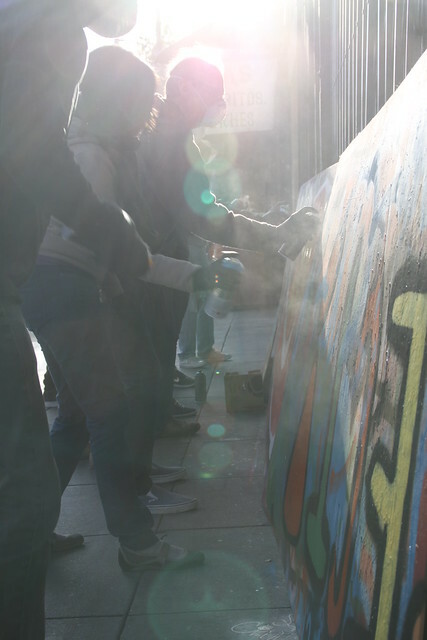 He showed the students a flashback on graffiti culture with a slideshow, represented local and international street artists in a mural walk, and continued to teach the students lettering techniques for drafting up their own personal graffiti style with markers and spray paint. 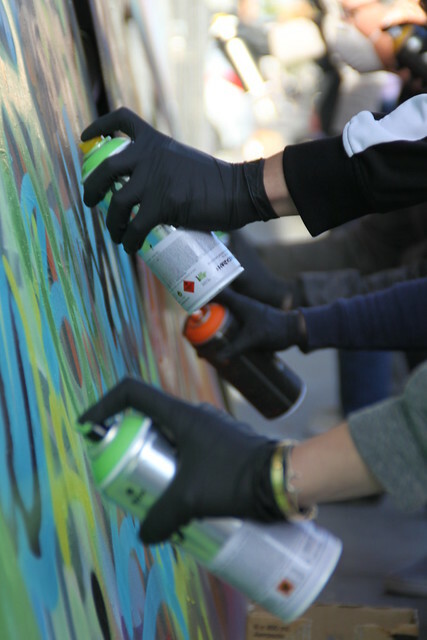 Don’t miss out on our next Intro Class happening in January. Read More to find out about our special! Get a class for a friend or family as a gift today. Happy Holidays!